Nordex has obtained an order from Eolia Renovables to supply 15 N100/2500 wind turbines. Eolia is one of the leading independent European generators of power from renewable sources. The company is calling in the turbines from a master agreement signed with Nordex in 2007. In addition to delivery of the machines, the order also includes turnkey installation of the wind farm. Furthermore, Eolia Renovables is taking advantage of the Nordex Premium Service. The 37.5 megawatt wind farm “Sant Antoni” is being built in the Spanish region of Catalonia. 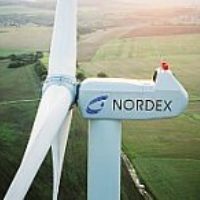 Nordex plans to complete the infrastructure work and foundation construction by autumn so that the turbines can be set up in the course of this year. The annual energy yield is expected to be around 93,000 megawatt hours. “Sant Antoni” is the first N100/2500 project in Spain and one of the largest Nordex wind farms there. “Caramonte”, with 22 N90/2500 machines, also ranks among the largest Nordex projects in Spain and belongs to Eolia as well.